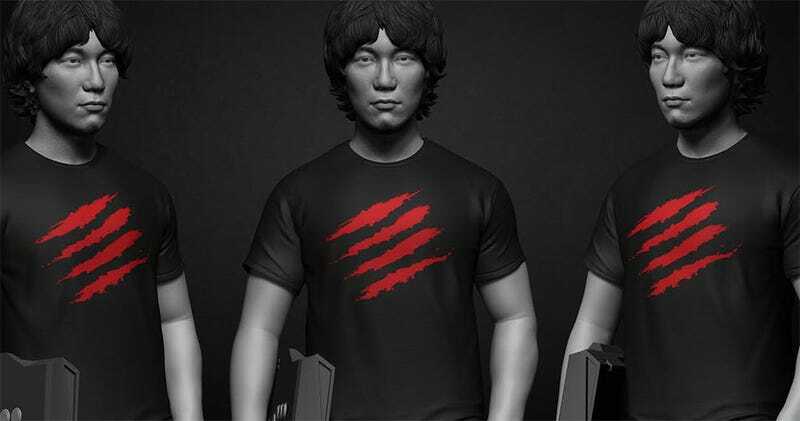 Daigo Umehara is getting his own piece of fancy merch later in the year, when statue company Kinetiquettes releases this piece commemorating the Street Fighter legend. Flanked by two of his favourite characters—Ryu and Evil Ryu—Daigo’s at the back, just chillin’, holding his arcade stick. The statue will stand around 18 inches tall when it’s done (this is the final 3D sculpt image), and pre-orders will go live around EVO 2016 in July. UPDATE: Sorry, to avoid any confusion, this is not an April Fool’s joke. This product was first announced in February, this is just the first time there have been images of the actual sculpt.